A leading significant employment platform who houses a large online employment portal, has recently released a review of employment trends that any employer or business should be aware of. This also includes what freelancers and job seekers should expect when it comes to online work opportunities. There was actually a record set for online work opportunities, as there were more than 400,000+ online jobs that were posted on this particular site, while traditional on-site employment was pretty much stagnant. There were several categories which stood out as online employment proved to be almost recession proof. The employment segments which were the highest in demand were: Marketing Skills and Technology Development. This segment realized a 95% percent increase in demand for mobile development orientated job postings. Clearly the biggest priority among employers and businesses were to develop and expand their presence in the smartphone and touchscreen tablet devices market. This would include the development of apps and the design of mobile websites and mobile marketing. It is going to be an absolute necessity for all businesses (small or large), entrepreneurs as well as startups, to be constructing new websites or redoing existing ones that will accommodate for mobile devices. These mobile sites are also expected to be much more compact, simpler and easier to navigate. There will also be a significant shift in design to prioritize and serve mobile sites over traditional desktop sites as well. Unique and relevant keyword-rich content will be in high demand to feed search engines for SE optimization. Although SEO is still a huge priority for businesses, that may not necessarily be their biggest concern in the near future and beyond. Search engines are constantly finding new ways to differentiate, analyze and organize quality original content by tracking ‘social media’ popularity and ‘buzz’ through sites such as Twitter and Facebook. In the near future, businesses who are looking for content creators, will be interested more in quality than quantity. Businesses who were looking to outsource, shifted their priorities towards freelance personnel with experience in online marketing, and moved away from traditional ‘old school’ marketing techniques such as telemarketing and direct mail. Their needs also moved towards other forms of online marketing including: Search Engine Marketing (SEM), Social Media Marketing (SMM) and Search Engine Optimization (SEO). Traditional marketing of just a few short years ago, is now practically obsolete as businesses lean towards social and viral marketing methods. There are reports circulating that Flash is dead, but as the saying goes, ‘The death has been greatly exaggerated.’ Although there is a significant demand for HTML5 programmers, and growing at an exponential rate, Flash still maintains and will keep its position as a leading platform for creating rich media. This is because of the steady popularity of casual online gaming, as well as Apple’s App Store loosening its restrictions. Businesses will also rely more on online employment platforms to hire or outsource qualified individuals when they need to fill job openings. 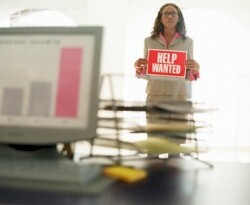 Online employment will no longer be a ‘buzzword,’ as in the near future, it will become the only way to do business. Online digital portfolios provides potential employers and businesses with far more detailed insight and context on the individual who is a potential employee or freelance candidate. Digital profiles will provide far more information than any resume ever could. In the future, expect to reference and provide detailed: verified work history, online test scores, digital portfolios, online interviews and reviews, social media and social graph becoming the standard for the hiring or outsourcing of short and long-term employees. Social buying, went from a cool ‘fad’ like trend to an enormous economic force. Demand for social media experts by businesses has also grown significantly. Shopping won’t be the only segment to leverage the social graph, as outsourcing, freelancing, recruiting and the hiring of employees will also undergo this socially inspired transformation.